Hanamaruken Ramen at The Grove by Rockwell - All Chucked Up! 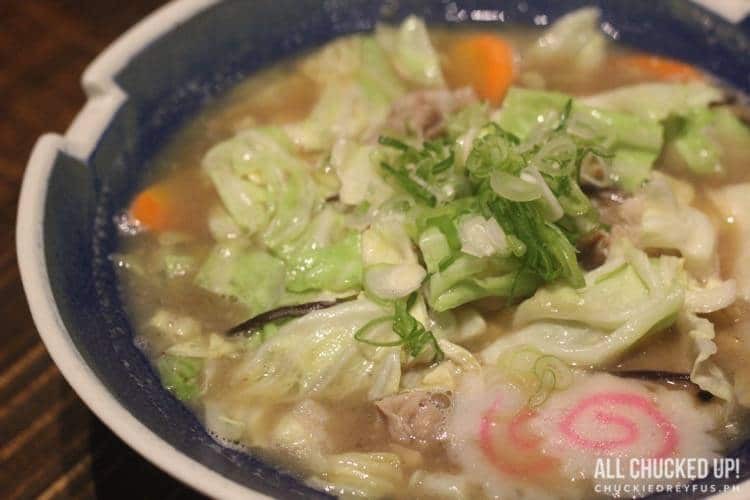 We wasted no time visiting the newest Hanamaruken Ramen branch to have our fill of “happiness”. 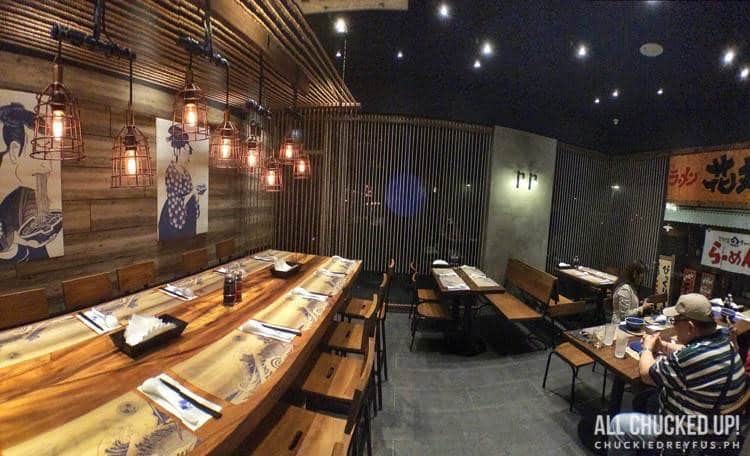 Hanamaruken Ramen at The Grove is situated right smack where the old Umami Hambaagu used to be. Naturally, during our visit, we ordered our favorite Signature Happiness Ramen (How could we not?) and a my wife’s usual “Drunk Man Rice Bowl”. It was a pleasant surprise to discover that Hanamaruken Ramen has just recently launched two new dishes. Being the adventurous eaters that we are, we immediately asked for their latest offerings. 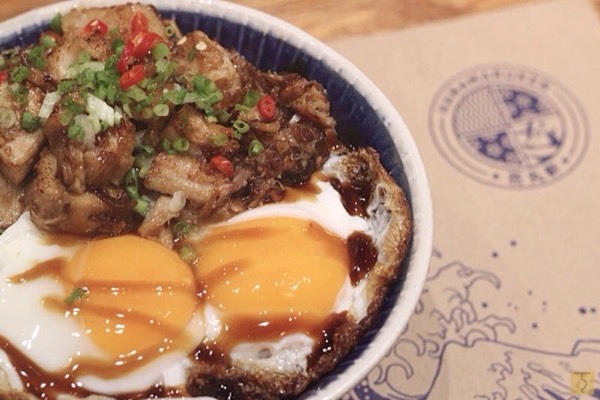 If their old menu items are any indication, these new gastronomic creations are destined to become sure fire hits as well. The Champon kinda reminded us of Chopsuey… perhaps because of the amount of vegetables in the dish. But, hey, this is absolutely perfect during cold evenings or rainy days. Heck, it’s great for any kind of day or occasion, in my opinion. The veggies of the Champon gives this comforting bowl really great texture and an appetizing crunch. The soup is delightfully clean and full of flavor. 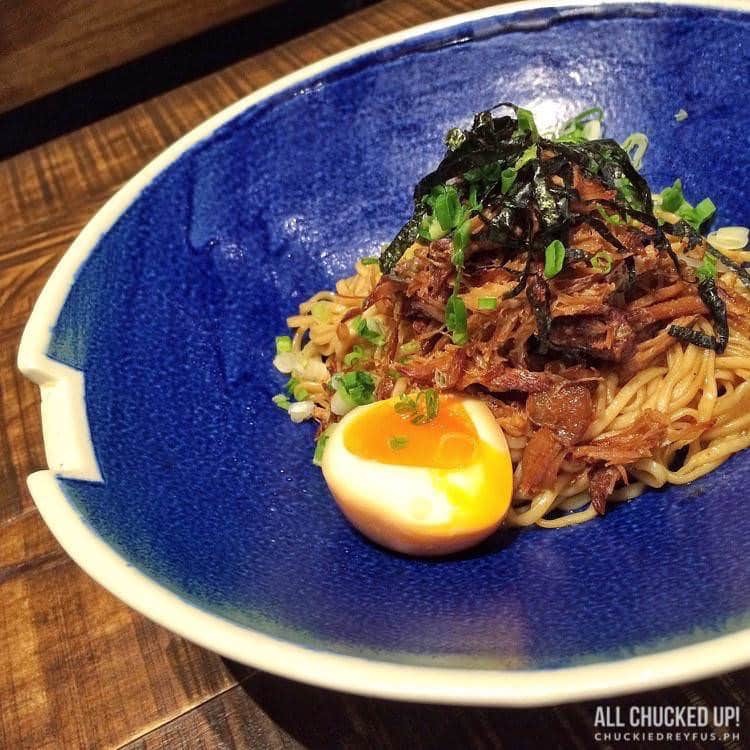 The Arakawa Abura Soba boasts of the same flavorful beef used in their Signature Happiness Ramen albeit shredded to complement the soup-less dish. This new offering uses thin, firm noodles with a good amount of crushed garlic chips for that amazing taste. I fell in love with the Arakawa Abura Soba because of the explosion of flavors you get in every single mouthful. 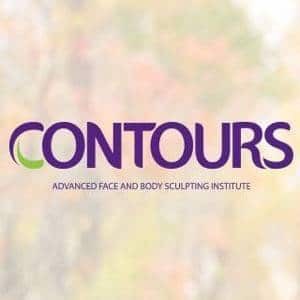 You have got to try it. It’s really good. 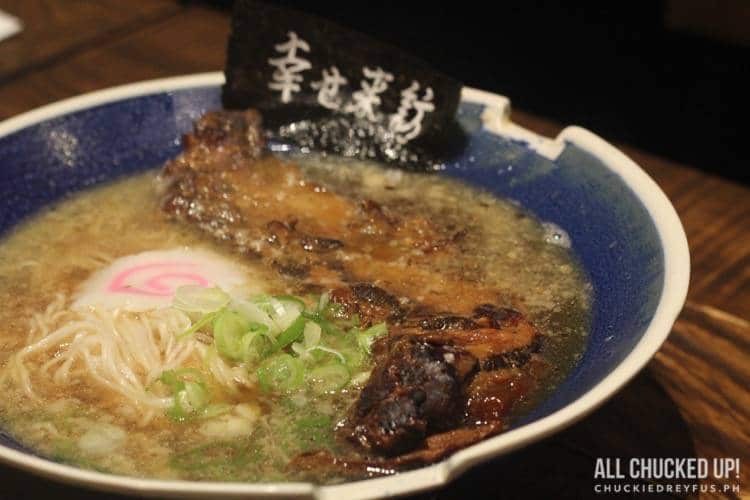 True enough, Hanamaruken Ramen has come up new items that old and new customers should definitely drop by to taste. You won’t regret it. 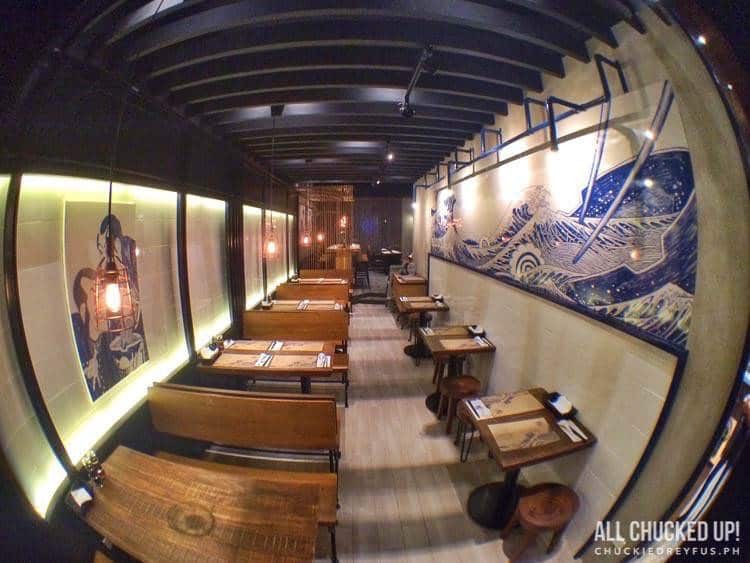 Also, the new Hanamaruken Ramen at The Grove seems to have a quieter ambiance which a lot of you guys will love. There are areas that are great for groups as well as spots that will appeal to couples who want a little more privacy. 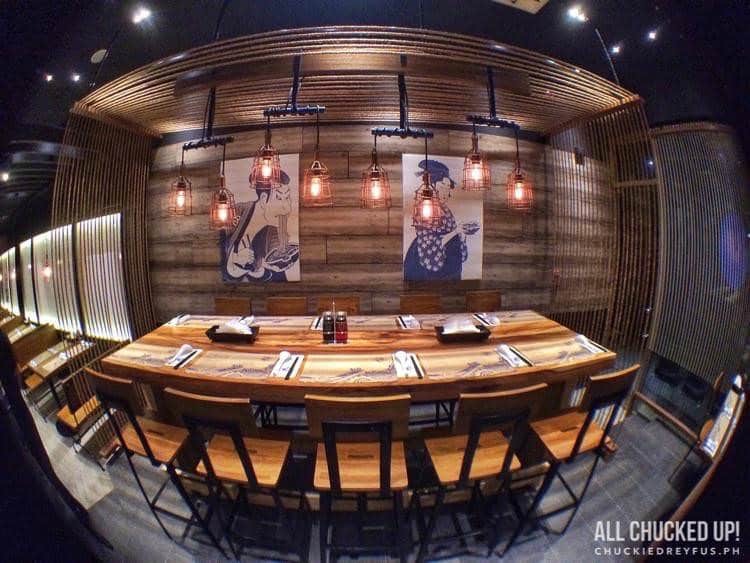 So, why not drop by Hanamaruken Ramen’s newest branch at The Grove and check out the brand spankin’ new place. 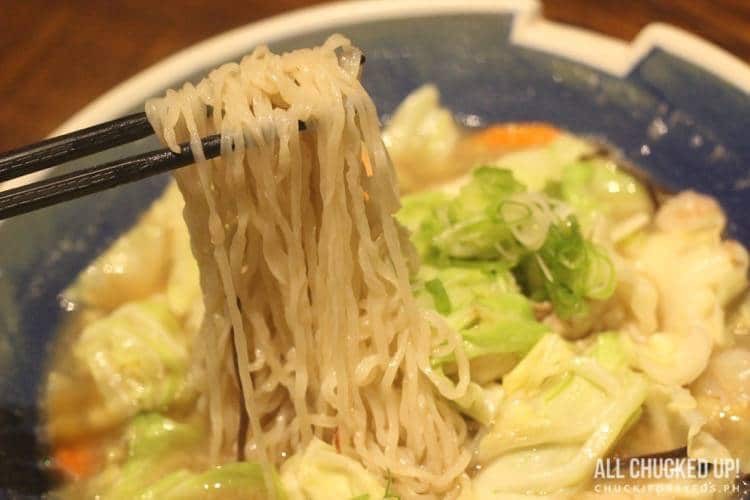 And while you’re ordering your usual favorites, make sure to also order the Champon and Arakawa Abura Soba to experience more of what Hanamaruken has to offer.